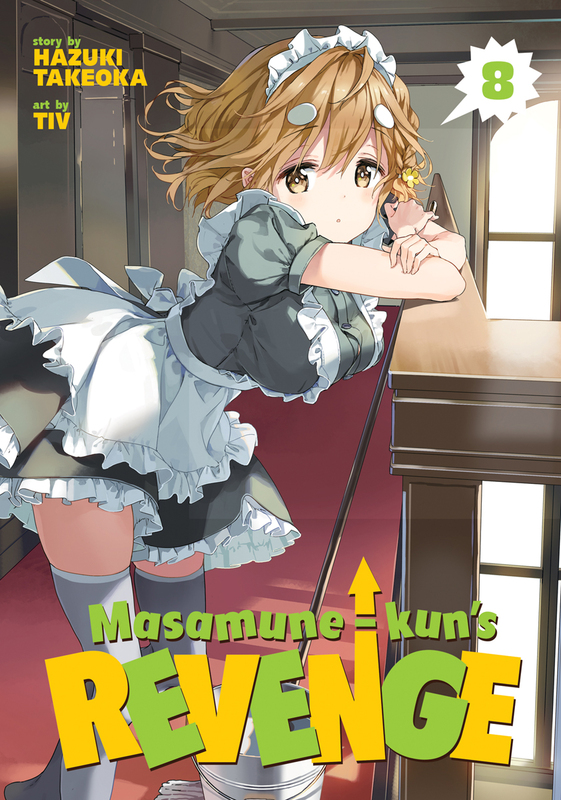 Masamune-Kun's Revenge volume 8 features story by Takeoka Hazuki and art by Tiv. Years later, Masamune reemerges as a new man. 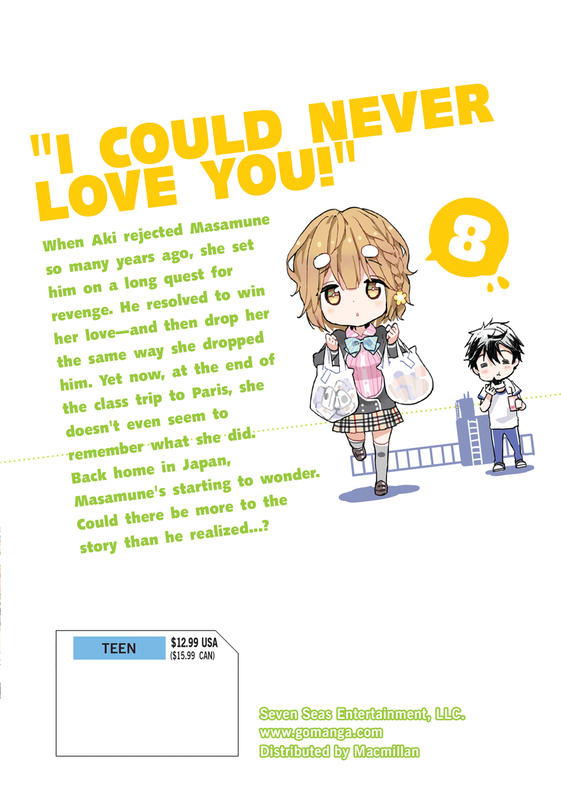 Handsome, popular, athletic, and with perfect grades, Masamune-kun transfers to Aki's school, and is unrecognizable to her. Now, Masamune-kun is ready to confront the girl who bullied him so many years ago and humiliate her at last. Revenge is sweet!